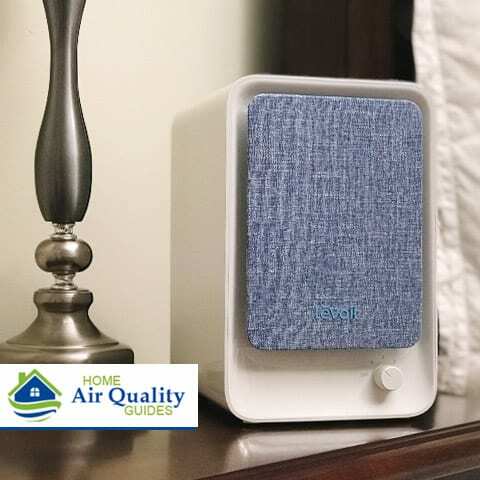 Overall, this is a great air purifier for anyone who’s on a budget or only needs to clean the air in a small space, i.e. a bedroom or office. You can buy this product for less than $60 and it includes the essential filters necessary to create clean, fresh air indoors. Here’s an overview to help you decide if this is the right air purifying product for you. The Levoit LV-H126 air purifier is a relatively compact air purifier but it does include the filters you want in a high-quality product. Pre-filter – Captures the largest particles that make up dust, dirt, and hair, and eliminates some odors. It also prolongs the life of the other internal filters. 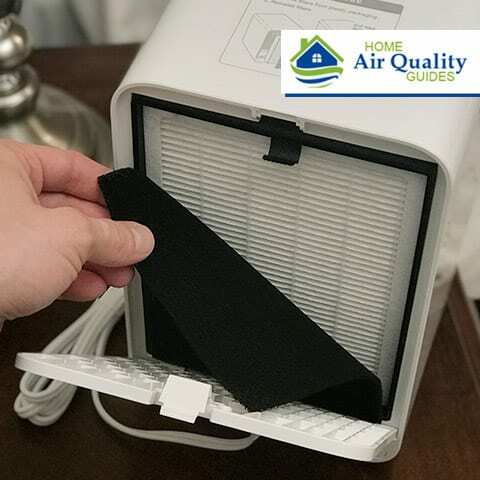 True HEPA filter – Captures 99.97% of contaminants down to 0.3 microns in size and fine particulate matter (PM) air pollution down to 2.5 micrometers. 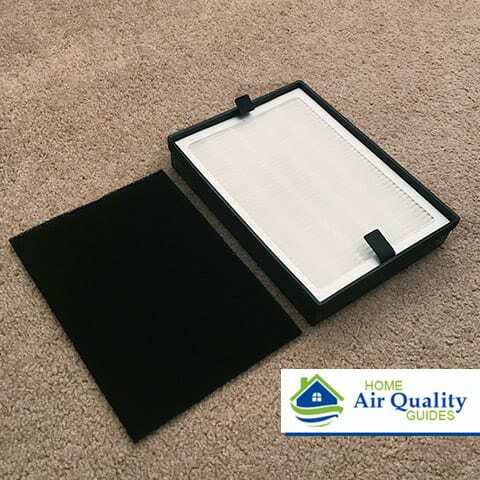 Activated Carbon filter – Removes odors from the air that are produced by cooking, smoke, pets, cleaning chemicals, paints, etc. Something worth pointing out that that’s not explained in the product manual is that while the pre-filter is made up of activated carbon and does have some odor removing qualities, it can’t be relied upon for removing heavy odors inside a room. Sure, it’s a nice touch but a thicker Activated Carbon filter is included for that particular purpose. The suggested interval for replacing the pre-filter is ever 2-3 months. Inside the box, you’ll find two additional pre-filters to help you get through the first year which is a nice bonus. 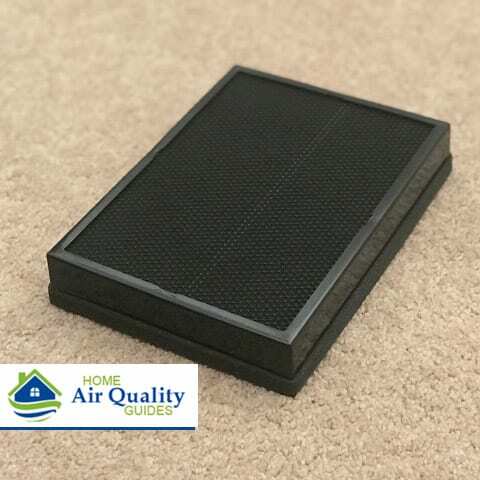 The True HEPA filter and Activated Carbon filter are combined into one single unit. This makes replacement more cost-effective and easy to do. 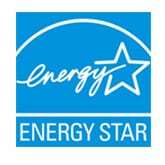 The recommended interval for replacing this filter is every 6-8 months depending on the amount of use. The Levoit LV-H126 packs a lot of power inside a small box. With this model, you’re going to get up to 161 square feet (sq. ft.) of coverage. That makes it ideal for most bedrooms and other smaller rooms of the house as well as the average office space. 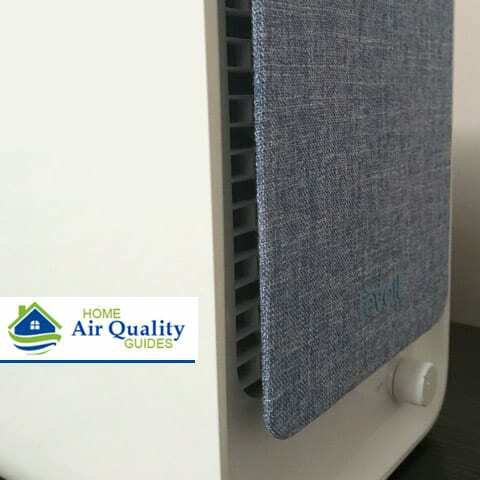 If you find that this coverage is too small, Levoit does offer more powerful air purifiers like the LV-PUR131 and LV-PUR131S Wi-Fi enabled version which we review separately. 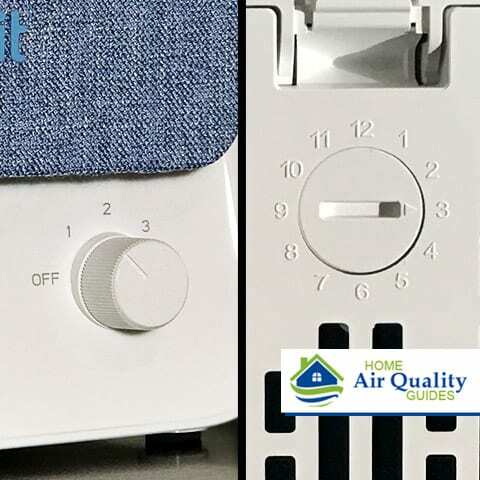 The design of this air purifier is quite unique because unlike other products that are made ssolelyof plastic, the LV-H126 includes a fabric front panel. For some people, this fabric panel adds a nice touch and makes it looks less industrial but for others, it may seem a little retro. Either way, you do have three color options to choose between white, black, and light blue. As for the air filtration, air is sucked in from the back of the device and pumped out the front through two side slit openings behind the front panel. The Levoit LV-PUR131S has great size for the amount of power it packs. The full specs are below, but to help you visualize what these numbers mean the height is just about knee level and the depth is less than the length of a sheet of paper. This machine is also relatively light to handle and can easily be carried from room to room. The Levoit LV-H126 is a very simple air purifier and doesn’t come with any fancy touch panels, LCD displays or Wi-Fi enabled functionalities. It’s just a basic device for someone who wants fresh air without any hassle. It has 3 fan speeds that are controlled with a rotary dial. On the lowest fan speed, the LV-126 is almost undetectable. Fan speed setting 2 does have some audible sound and the top number 3 speed is quite noisy. For most application, however, you’ll stick with the lowest or second speed setting so noise shouldn’t be a problem. On the back of the unit, you’ll find a filter replacement dial that’s flush with the unit and the same color. If you weren’t expecting this feature, you’d likely overlook it because it blends in so well. What this dial is for is to remind you for when to check and/or replace your air filters. The dial includes the numbers 1-12 and you can either set the dial on the month in which you performed a filter replacement so you know when it was done last or set it to a future month ahead so you know when it’s time to check them again. While this is a pretty basic feature for an air purifier and not something to get too excited about, it does serve a good purpose. Often when you have an air purifier running for months on end, you end up forgetting when you last changed the filter. So, it’s a good function to maintain. A pleasant surprise you’ll find in the box is a chance to extend your product warranty for an extra year. To cash in on this opportunity all you have to do is register your product within 14 days after purchase. Who Should Buy the Levoit LV-H126? You want simplicity – This air purifier is easy to use and can work instantly out of the box. It doesn’t require any complicated set up or controls to figure out. You want cheap, clean air – Finding an air purifier for less than $60 that covers up to 161 sq. ft. is hard to beat. You want multi-level air filtration – It includes the three must-have air filters for any high-quality device: Pre-filter, True HEPA filter, and Activated Carbon filter. 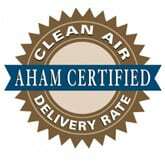 You want maximum efficiency – It removes 99.97% of contaminants down to 0.3 microns and PM 2.5 air pollution. You want color options – The front panel of this air purifier comes in three colors: white, black, and light blue.